Hello, would anyone be able to determine the approximate age of this street sign? This page was added on 21/06/2016. 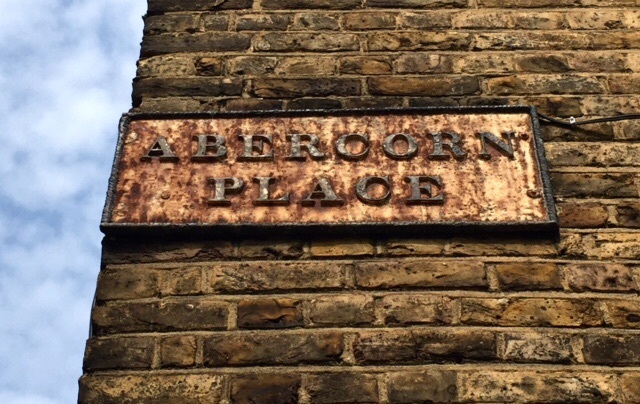 Can you tell us where in Abercorn Place you found this sign? An 1846 map by George Lucas shows that only the section between Hamilton Terrace and Edgware Road was called Abercorn Place. Further east it was known as Abbey Place at that time.